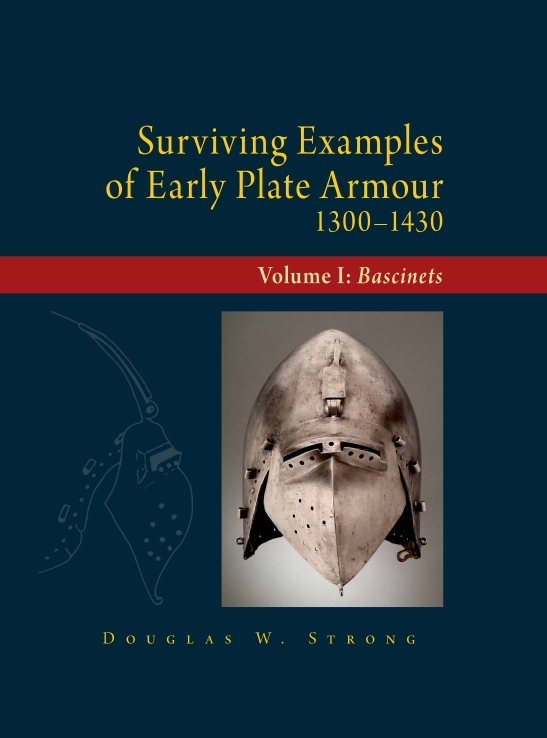 Doug “Talbot” Strong, the author of An Analysis of 1300 Effigies Dated Between 1300 and 1450 has finally been able to publish his book on surviving medieval European plate armour. This will be a four-volume set costing about 150 USD a volume but there is a discount for earlier orders. Each volume contains written descriptions, line drawings, and some colour photos of all surviving examples he could find in more than a decade of searching and making friends with collectors and curators. The first volume, on bascinets, is now available for preorder and should hopefully arrive in time for Christmas.